It’s really quick to make and delicious for breakfast or tea-time. 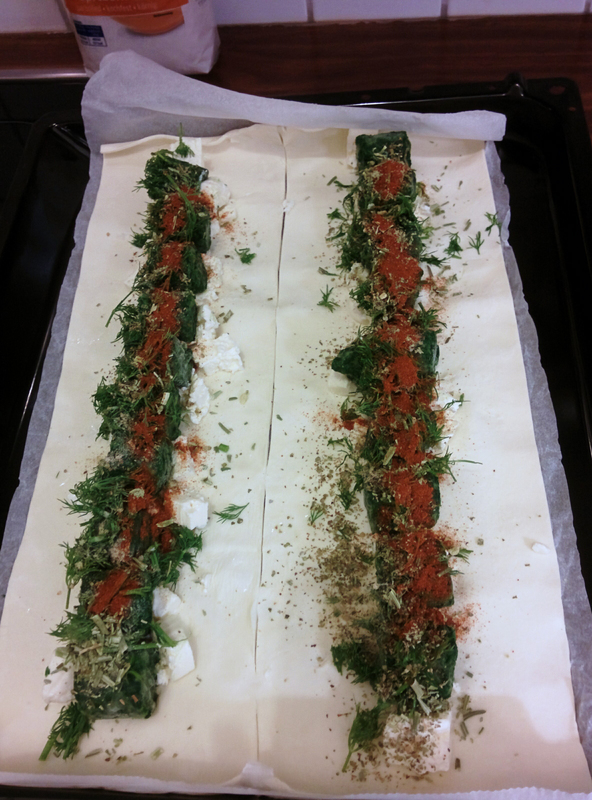 We also tried a (non-traditional) savoury version (shown in the third picture), where instead of a fruit filling we added spinach, feta, dill, ground coriander, paprika, salt and pepper. This made a really great lunch! Cut the pastry sheet into two halves. 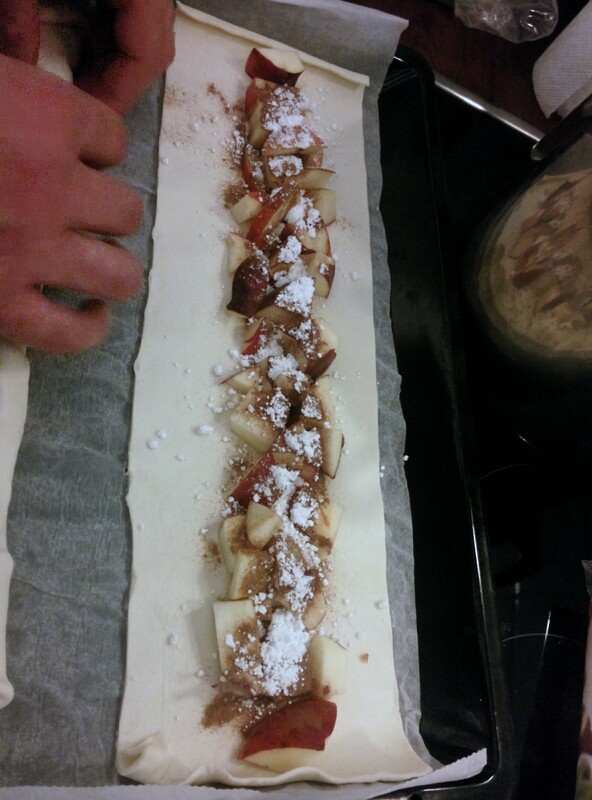 Arrange the fruit down the middle, lengthwise, and sprinkle with sugar and cinnamon. 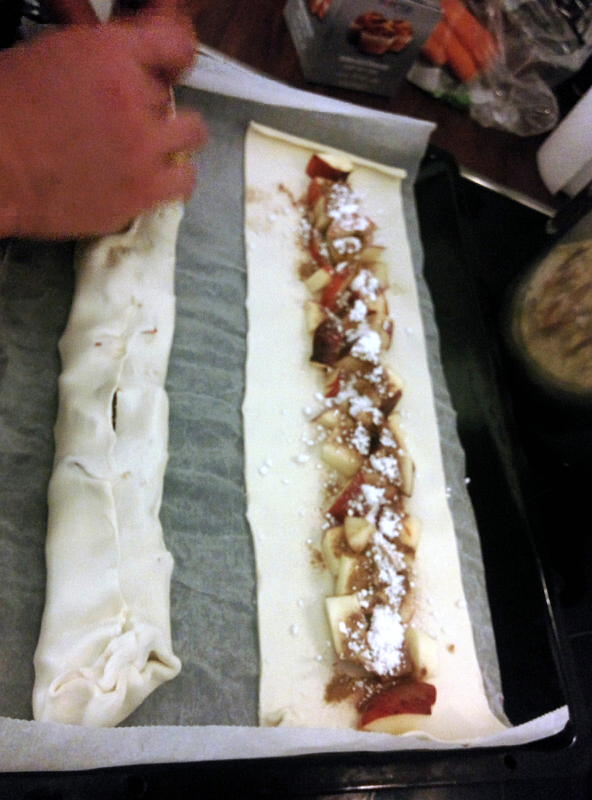 Fold up the pastry sheet from both sides to enclose the filling. Bake at 200 degrees Celsius until golden brown (approximately 30 minutes). Cut into slices.